"A collapse can happen at any time due to the scale, density and inherent instability of the financial system. The immediate cause of such a sudden loss of confidence is unknowable .. 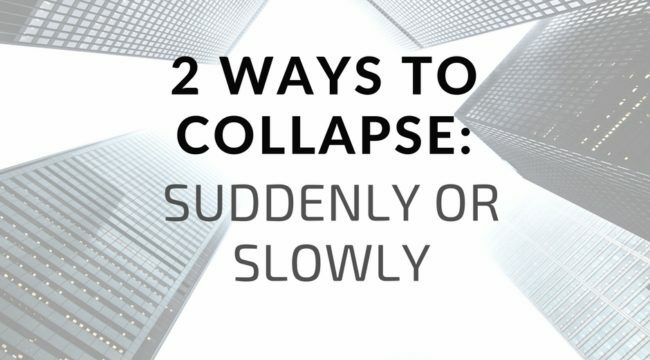 This sudden collapse scenario is definitely possible (and you need to prepare for it). Still, it is not necessarily the most likely way for the dollar to fail as the leading reserve currency .. A more likely path (and the one the elites are planning) is a slow, steady, step-by-step decline. In many ways, the slow collapse is more dangerous to your financial health than the swift crash .. A slow decline is more dangerous because you won’t know it’s happening .. Policymakers, leaders and media will keep up the pretense that all is well. You may be lulled into keeping your wealth in markets that are going nowhere .. The question for you today is whether the U.S. dollar has already had its November 1914 moment. Is it possible that the collapse of the U.S. dollar as the leading reserve currency has already begun? .. yes .. Looking at the massive flows of gold (that were reported here) to China, the rise of a dollar competitor in the form of the Special Drawing Rights (SDR), or world money, and the inclusion of the Chinese yuan in the SDR basket, it is difficult not to conclude that the dollar collapse has already begun .. Yet like the collapse of sterling a century ago, the decline of the dollar will not necessarily happen overnight. It will likely be a slow, steady process (at least in the beginning stages)."